What is the Vietnamese word for buzz saw? I don’t know, but I’m pretty sure I heard it the last time I took my mangled feet to get a pedicure. It’s true: I have ugly feet. And half-way through sandal season (ie now) they are at their ugliest. I would show you pictures but I try to keep things wholesome around here. Sufficient to say, they are dry and rough around the edges. One of my toes spreads out all crooked and scary like E.T.’s finger. It’s not pretty. But, but, but, but, BUT…they got a whole lot prettier when I discovered this body scrub recipe last summer. Sit on the edge of your tub and rub on your feet for 2 minutes…rinse, dry, repeat. Boom, new feet! 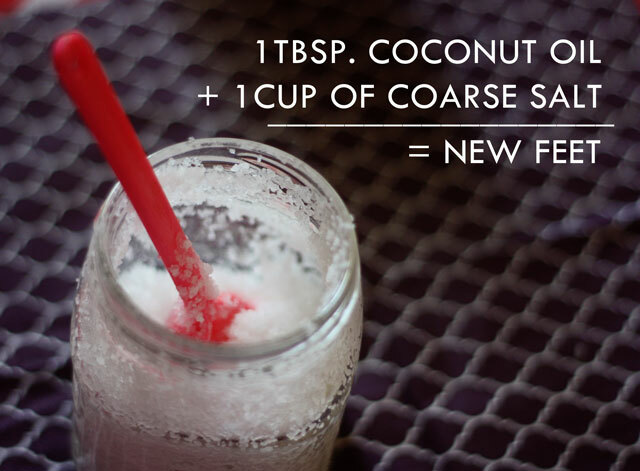 Yes, there are about ten berjillion face and body scrub recipes running around Pinterest these days, but this one is better. Know why? It makes a huge difference. No, I mean that. I had been using coconut oil soap on my hyper-sensitive/allergy/eczema-prone skin for years, but I didn’t join the official die-hard fan base until last spring. To be honest, prior to reading about the health benefits, I had the idea that coconut oil consumption was something to keep at a minimum – probably because it comes semi-solid like Crisco, and in my mind that put it in the same genre as vegetable lard, right? For the money, coconut oil is just about the best thing running. It helps to prevents wrinkles, heart disease, cancer, and lowers cholesterol levels, and research links it to improvement in memory and the prevention of a multitude of other diseases. If you are anything like me – I had you at wrinkles (yes, it’s true: coconut oil is a natural antioxidant that protects the body from free radical damage and prevents premature aging and degenerative diseases (read: your skin is going to love it)). Plus, let’s be honest; what would you give to have skin like a Hula girl? Coconut oil is antiviral, antifungal and antibacterial. It attacks and kills viruses that have a lipid (fatty) coating, such as herpes, hepatitis C, influenza, and mononucleosis. It kills the bacteria that cause pneumonia, sore throats, dental cavities, urinary tract infections, meningitis, gonorrhea, food poisoning, pneumonia, and many, many more bacterial infections. It kills the fungus/yeast infections that cause candida, ringworm, athletes foot, thrush, jock itch, diaper rash and more. I could go on about this for a while, but seeing as this is not a health food store and I am not the All-Knowing granola guy in the Hawaiian shirt behind the counter, I’ll just link some sources at the bottom so you can do your own research. Or, just watch this video from Doctor Oz. That guy is is so crazy. He’s like 60 something 52 and looks 22. It’s creepy how he keeps asking me to look at my own poop but I’ll listen to what he to say because, well, look at him — the dude must be doing something right. Anyway… I have been tinkering with the idea of doing a series of posts on common household remedies for a while now, and since coconut oil is something of a wonder-elixir in my book I thought I would start out with a post devoted to the stuff. Magic shell (melt chocolate chips and mix with a spoon full of coconut oil. When you pour over ice cream it will harden off just like the magic shell stuff). So, OK, clearly I like coconut oil for lots of stuff around the house, but I have a question; what is your favorite home remedy? Coconut oil has been used on my daughters hair and body since she was a baby. No diaper rash. Never had dry hair or split ends or breakage. Aloe vera juice+liquified coconut oil works wonders for dry skin and hair (we keep in a spray bottle and pop the bottle in a glass of hot water before using). My other fave is white vinegar…use it for fabric softener/brightener in the wash cycle (I add a bit of lavender or tea tree or peppermint essential oil for fragrance). Combine it with a bit of baking soda and water to get dishes clean (or use in place of jet dry in the dishwasher). Same for mysterious dried-on kitchen scum- baking soda+vinegar works a treat and for pennies. Coconut oil is helping Alzheimer. This is an excellent video!! Hey, I just wanted to let you know that after reading your post a few days ago I have been obsessed with the idea of oil pulling. Turns out, it’s kinda amazing. My mouth feels really clean. It makes me want to ask random strangers on the L to smell my breath. No kidding? Gosh — a couple folks have mentioned similar results. I may have to look into this again. Maybe I didn’t do it right. Thanks! Rosewater as a skin cleanser – ye gods it’s good. Also, jojoba oil is a fantastic remover of eye make up AND works as an amazing anti-wrinkle moisturiser through the night. Thank you for the post – I love your natural home and health care articles, I always find something insanely useful in them! Try your grocery store first! I found mine right next to the olive oil & I live in small town Wyoming. I was so excited! wait a minute is it a fist bump?? oh dear this made me laugh! 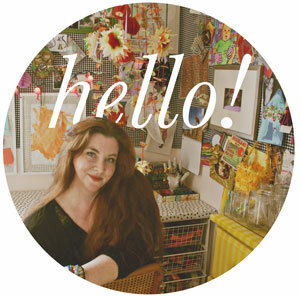 i am one of those readers that has been reading your blog quietly for months and never commented (sorry!) but i can so relate to the feet i just had to give a sort of virtual fist pump or high five – but in the form of leaving a comment. i use coconut oil all the time, love it! As a tattoo artist, I’d like to say that this makes total sense. Just make sure you wash your hands to apply it and try not to double-dip. Very informative post;I had no idea you could do so much with coconut oil. A home remedy that we used when my son was sent home with head lice was after using the RID as directed was to mix Neem oil in shampoo. It smelled like death in a bottle, but it worked. I hope never to have to deal with this issue again, but if I do, I will for sure try coconut oil instead. PS; You are very lucky to get coconut oil massages, Stella!! Dang. You might want to try using an oil based soap — regular detergent based soap can dry and irritate — most people who find tea tree oil helpful respond well to oil based soaps in general. I like coconut oil soap and any of the Dr. Bronners castile soaps. You can find at health food stores but they also sell them in little bottles at Target for like, $2.00 — worth a try. I like peppermint but I think he makes tea tree oil too! The whole ‘washing oil with oil’ is a weird concept, but it works! Thanks Aunt Peaches for the tip! I have very dry skin and my human has tried everything from adding Vitamin E and fish oil capsules to my food to all kinds of lotions, so now she is going to try adding coconut oil to my food and giving me coconut oil massages. I looove my massages! Her favorite home remedy isn’t really a remedy per say …she makes a body wash by buying cheap shampoo and adding Tea Tree oil. The oil is antiseptic, plus she likes the smell. She finds she has less skin problems using this. You had me at Jock Itch. Heeheeheehee! I keed, I keed. Great post!!! I am excited to see these tips, so many I would never have imagined. My dad has a heart condition and has been coconut oiling for two years (I mean ingesting the stuff), and has really improved in health. I have been using this for almost 2 years as lotion . Straight from the jar!!!!! Totally love it. Thanks for the post now I know what else it can do. Never mind the wrinkles (I’ve all but given up on them), you had me at eczema. I’ve developed an itchy, blistery kind that nothing seems to help get rid of, but if you say coconut oil helps, that’s good enough for me. I was not aware of this stuff but I am now extremely interested. But as a Brit, how can I get hold of it?! I’m hoping our local health store will have some. Thanks for the recommendation!! do you brush your teeth afterwards? p.s. you had me at healing my psoriasis irritation. and at trader joe’s. So, I’m always a little slow on the uptake, but how do you apply it to your face for the wrinkles? Do you just rub it on the face after you wash? From my tootsies to yours — you are welcome! I have been sitting on this link for a while now because I wasn’t sure what I would do with the stuff. Bookmarking and ordering! I guess this could go under the umbrella of “healing”, but coconut oil can also be used as an anti-bacterial ointment to aid/speed in the healing of tattoos. Yep, you had me at “wrinkle” but my feet need this stuff, RIGHT NOW! Thanks so much from me, my wrinkles and my tootsies! WOOT. 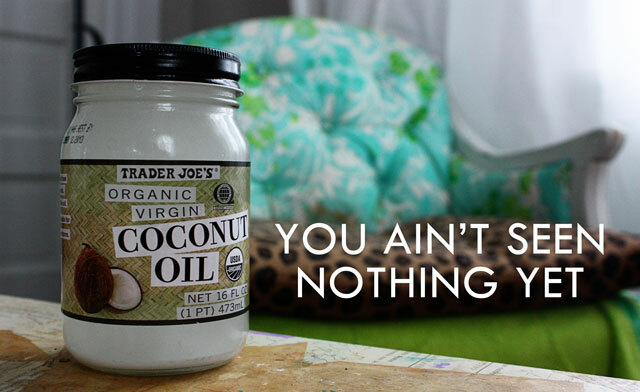 Make that “28 things to do with coconut oil”…Booyah is right!!! And I’ll bet you can find the little containers at the Dollar Store. Maybe even pill boxes? Mix in various shades of lipstick…I can see it now! You are right (well, more right than me) — I just looked it up — he is 52! This is weird because I could have sworn I saw him saying he was 50 on a PBS special at least ten years ago. Well, still…if I look that good at 52 I’m doing something right! I know, right? I tried it a couple times but it just felt gross — I mean, gargling with a mouth full of oil for two minutes straight? Yish. I will say, my mouth felt densit-office-clean for a couple of days. Weirdz. oil pulling?! I just read that article… wtf?! Use it to make lip balm! 1/3 coconut oil, 1/3 liquid oil (like olive), 1/3 beeswax… booyah. blog posts. Anyway I will be subscribing for your feeds and even I fulfillment you access persistently fast. Awesome, I gotta Pin this, it’s great!! you said something about cholesterol, how does that work? do you just drink it down? I have a couple of jars of it that a friend gave me cause she didn’t want it but I saw this and thought, hey maybe it would work for those cholesterol bumps people get over their eyes, you know the ones that look like they stuck their face in cottage cheese and it dried like that? (No offence to anyone else who might have them as well, this is just how I feel about them) Yea I have them and I hate them so much I don’t like leaving the house, it has turned me into a hermit. But if this will help get rid of them, maybe I can venture out without thinking people are staring at me cause I feel like I’m the goat woman from hell or something. can you tell I really hate these things? they are messing with my vision because I know they are there and I keep rubbing my eyes. If this helps get rid of them and I don’t have to go in for surgery since I can’t afford that, than I will try anything at least once. So, do I just drink it like water or what? HELP. please tell me: What is “oil pulling”????? On the line about oil pulling — click on the link (run your mouse over “swear by this”) and you will find an explanation. What’s up, its good paragraph about media print, we all be familiar with media is a fantastic source of facts. not posіtioning this submit higher! Come on over and seek аdνice from my sitе . Hi, glad to see this nice post here. Seriously i have not any idea that coconut oil can be as good. Also after read the post i came to know that this can also be use as medicine. It have good fregnance. Thanks for sharing! I think coconut oil have all the solution for beauty solution, I really like your post. I want to say that Parachuteadvansed oil is one of the best example of <a href=”http://www.parachuteadvansed.com/coconut-based-hair-oil>coconut based hair oil</a>. Does anyone have a home remedy for dark elbows? i would like to let you all know that i use coconut oil organic, and pure T/Tree oil for face cleansing and eye infections its excellent. I mix 4 drops of t/tree oil and 4 desert spoons of coconut oil and keep in a sealed tight jar container for my use in the bathroom. Its fantastic as an over all moister also. just apply to skin after shower and leave. This mixture also works on hair for treatments on all sorts includind hairloss. i love it.. Happy days.